After reading Rosie’s post, we asked Dr. Diana Rinkevich, director of our Heart Disease in Women program, to share the symptoms of heart disease in women with our readers. Written by Diana Rinkevich, M.D. 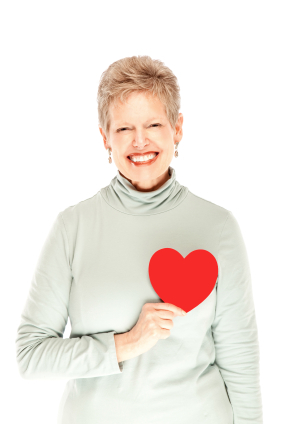 Many women ask me: How do heart attack symptoms differ in women versus men? Most women with coronary heart disease, or blockages in the heart vessels, experience chest pain, but non-chest pain symptoms are more common in women than men. Research by the National Institutes of Health indicates women often experience new or different physical symptoms as much as a month or more before experiencing heart attacks. Many women tend to show up in emergency rooms after serious heart damage has already occurred because their symptoms are not those typically associated with a heart attack. If you experience these symptoms or think you’re having a heart attack, call for emergency medical help immediately. Diana Rinkevich, M.D, is currently the Director of the Heart Disease in Women program, Adj Associate Professor of Medicine. Rinkevich received her medical degree from the University of Buenos Aires, Faculty of Medicine in Argentina in 1980. She finished her residency in Internal Medicine and 4 years Cardiology fellowship at the Rambam Medical Center, Technion University, Rappaport School of Medicine in Haifa Israel, and continue as a senior cardiologist at Rambam Medical center and later Head of Non-Invasive Cardiology at Hillel Yaffe Medical Center, Technion University, Rappaport School of Medicine, in Hadera, Israel. Rinkevich’s major clinical and research interest is in heart disease in women, microvascular dysfunction as a cause of chest pain in women with no angiographic evidence of coronary artery disease, and the use of non-invasive diagnostic tools for the diagnosis and treatment of heart disease.